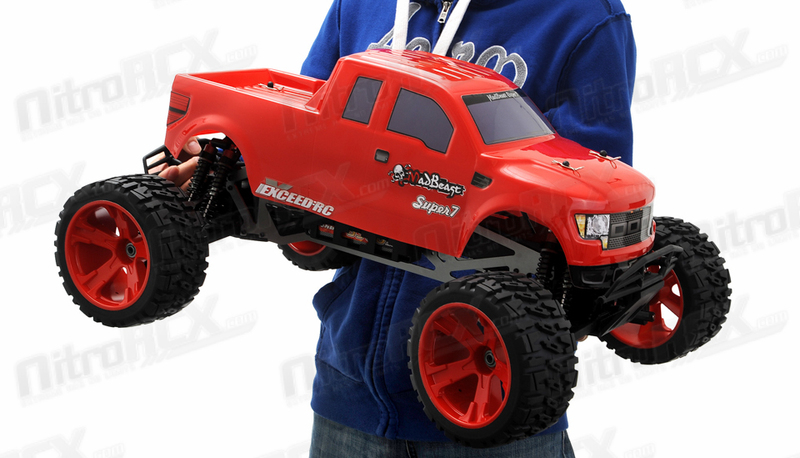 The new Super7 MadBeast is Exceed RC�s newest monster truck and it is bigger and badder than ever. 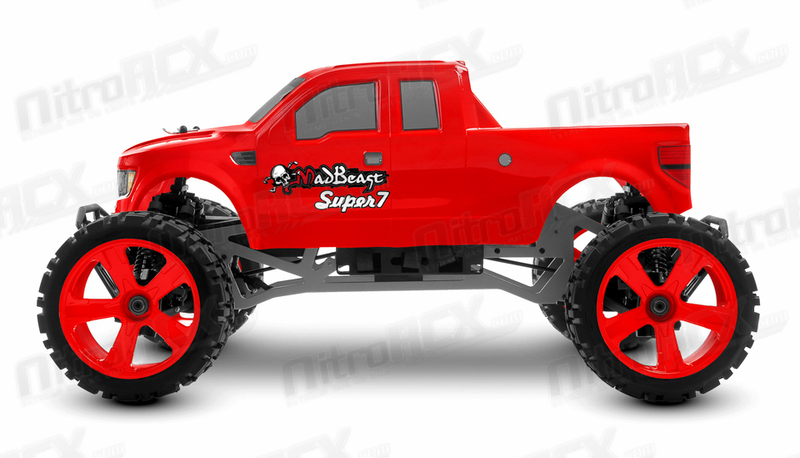 The new Super7 continues the lineage of the MadBeast line of trucks. 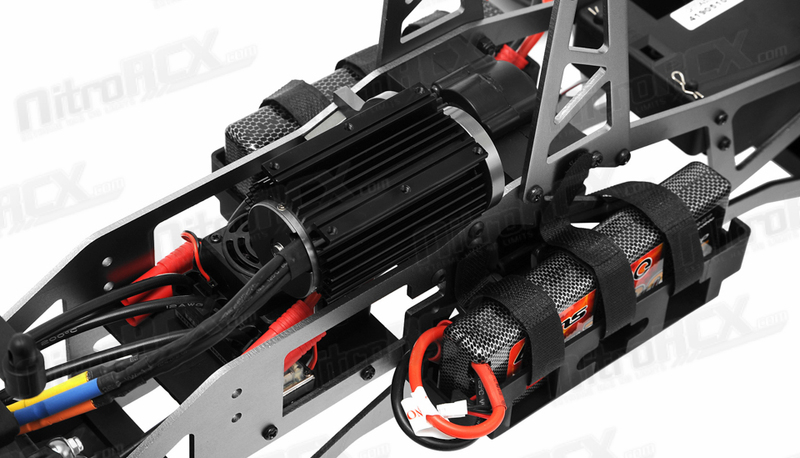 A line known for its superb durability, reliability, and outright monsterous power. 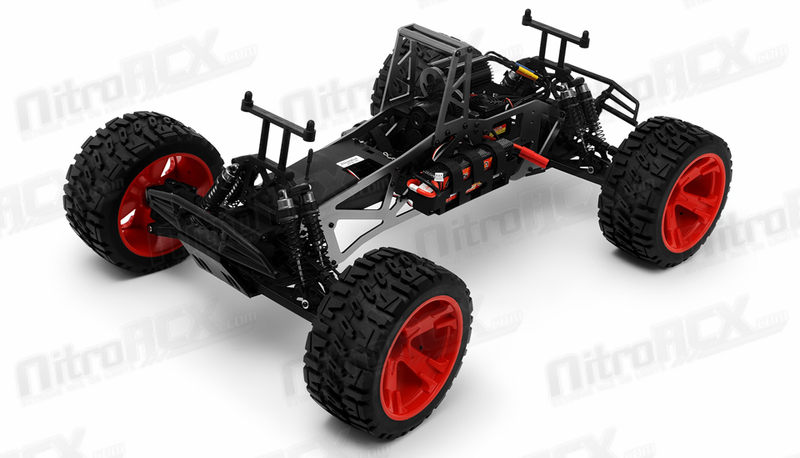 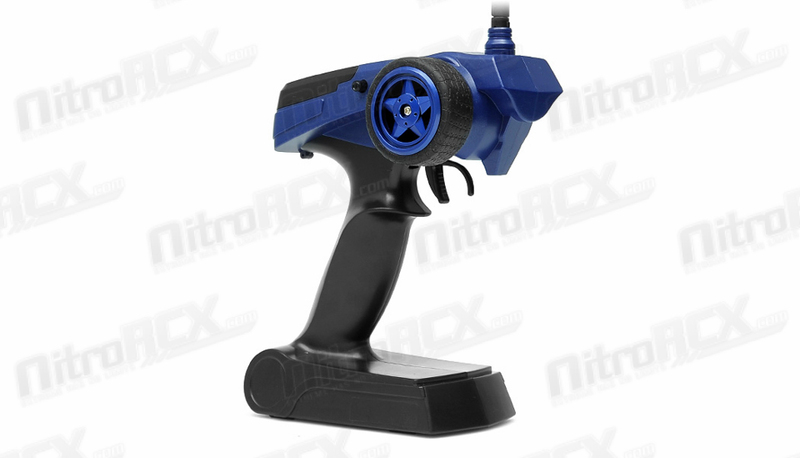 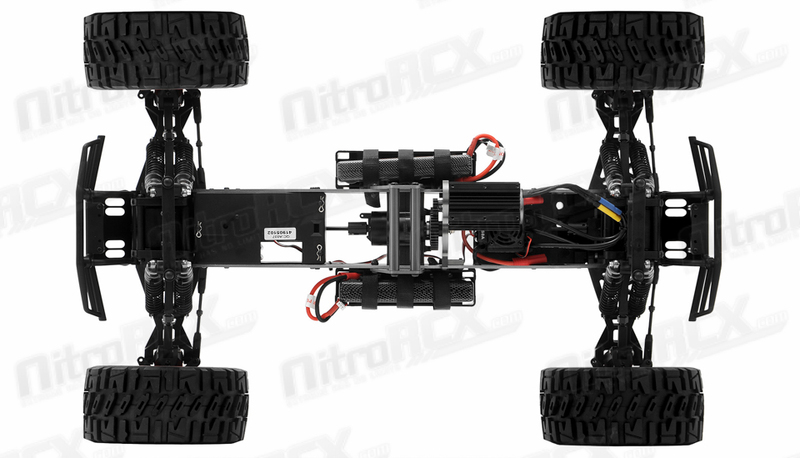 This new variation comes fully equipped with a revamped brushless powertrain and an improved chassis and suspension design. 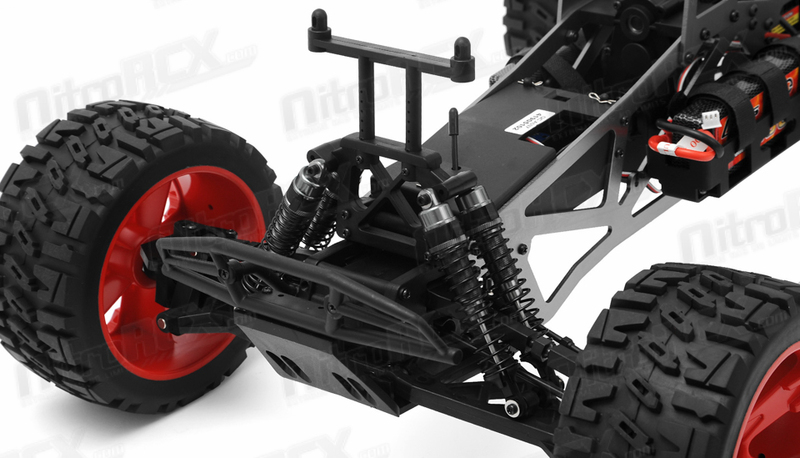 This new rugged design features improved performance and durability to maximized raw bashing power. 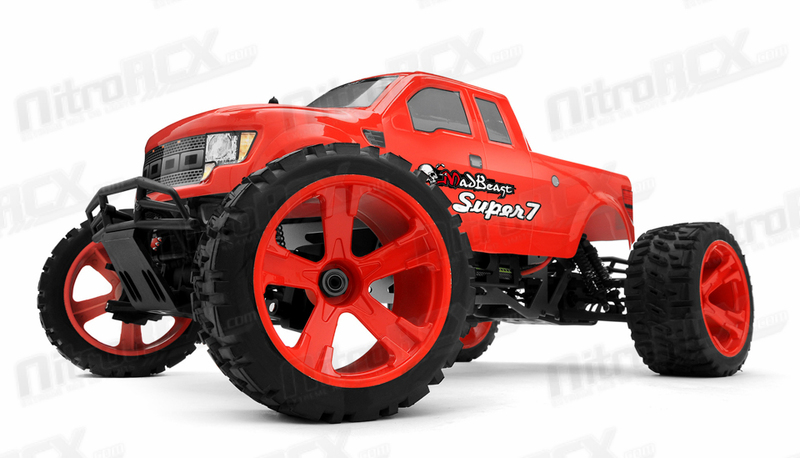 The Super 7 is here and lives true to the saying "bigger is always better". 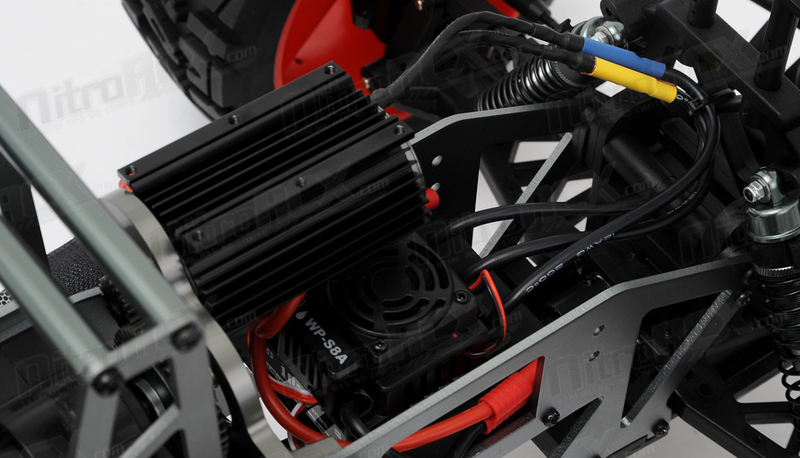 The new MadBeast EP features a rugged 540L brushless motor rated at 2400kv and a 100-amp XeRun programmable waterproof ESC. 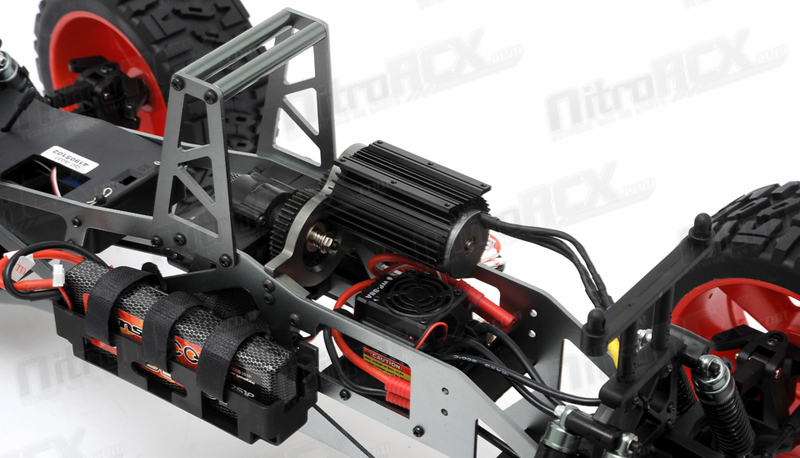 This new motor is shielded by an huge heat sink to safely allow maximum torque potential. 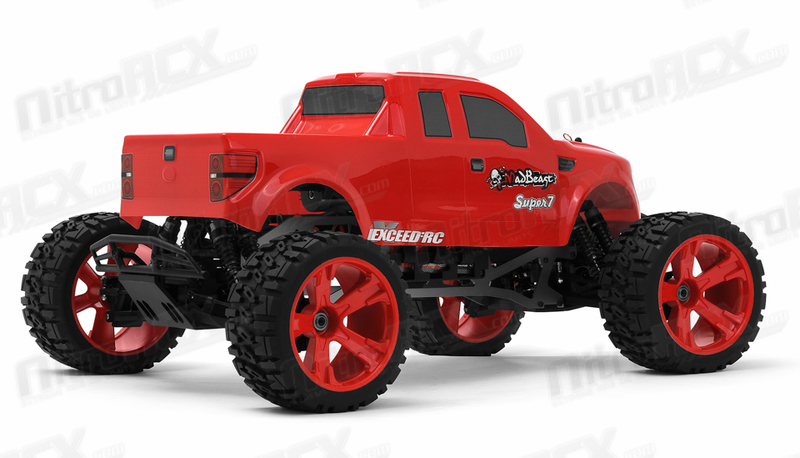 This massive monster truck is powered by dual 7.4v 3300mAh LiPo batteries wired in series to generate a peak 14.8v of power. 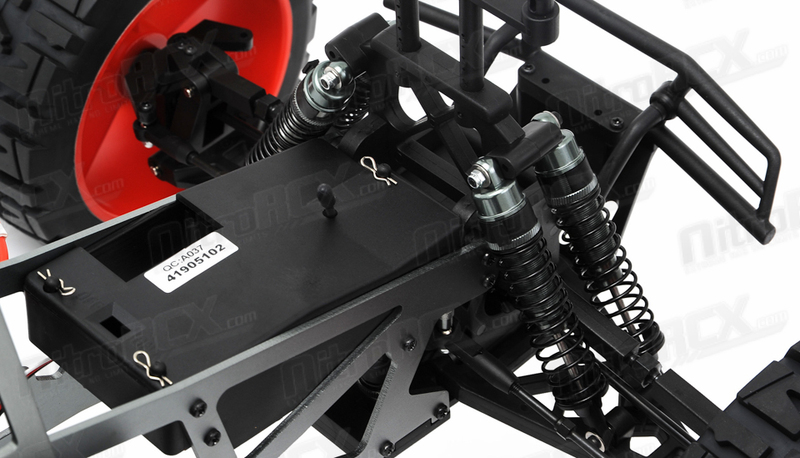 The MadBeast is equipped with anodized aluminum chassis plates and roll bar giving this 1/7 scale monster a super strong frame. 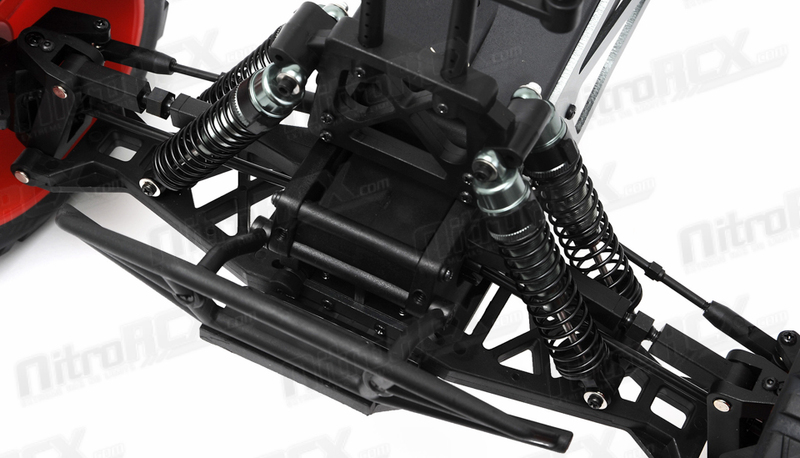 Dual aluminum shocks with threaded collars and oil filled can be found on all 4 corners of the MadBeast EP to ensure that no terrain is too rough for this beast of a truck. 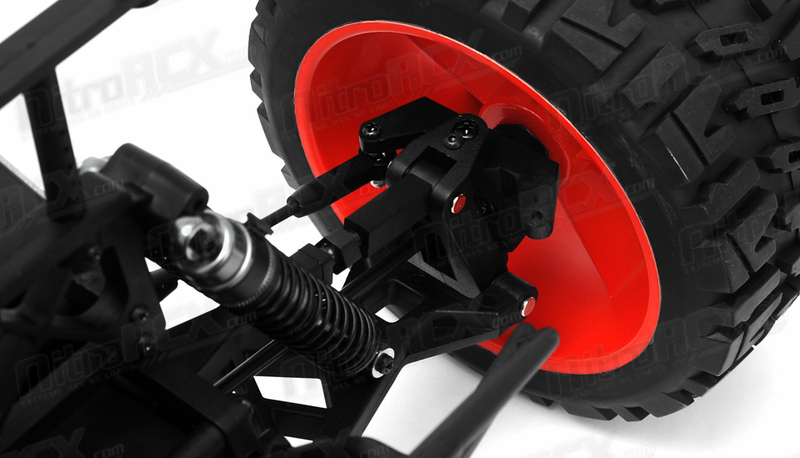 The new slipper clutch design implemented on this truck protects the gears from the abuse of rough jumping and throttle smashing. 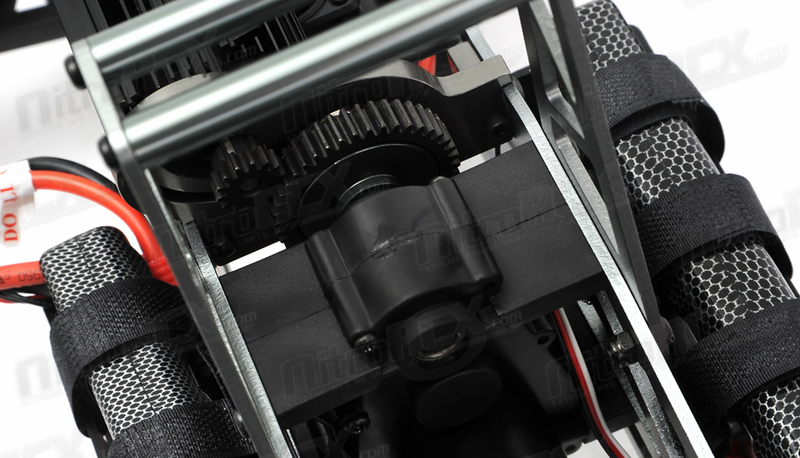 The spur gear is heat treated aluminum to take a beating from high voltage power. 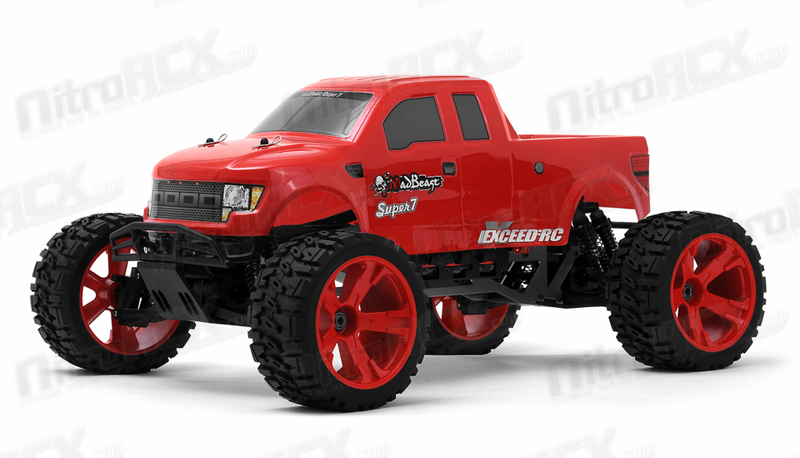 This awesome new platform rides on huge wheels and custom low profile tires with extreme all-terrain tread. 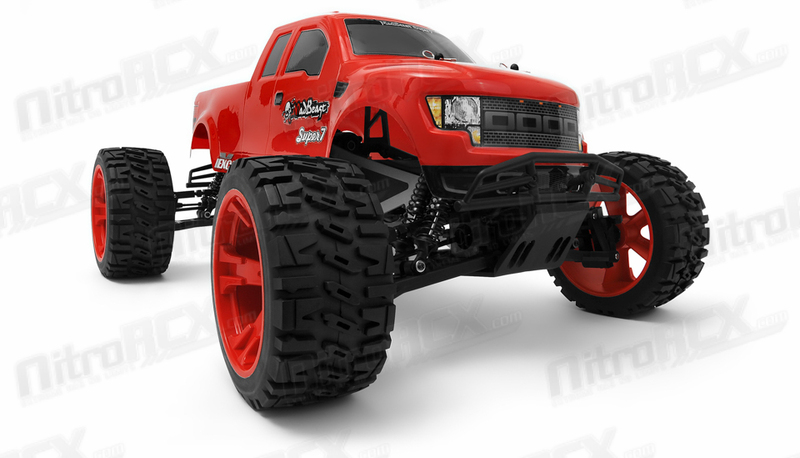 This wheel and tire combination gives the best of both worlds. 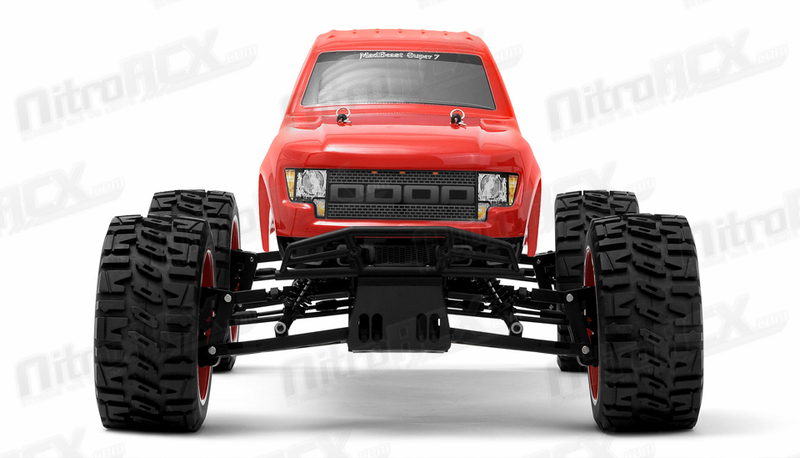 High ground clearance and performance handling is the name of the game. 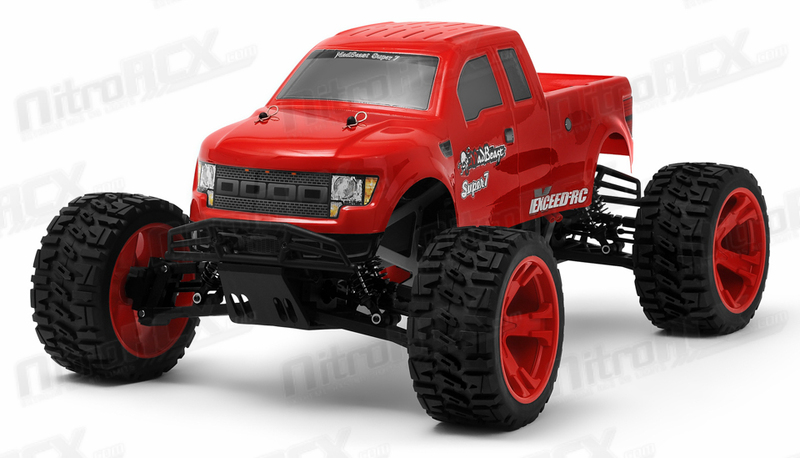 The MadBeast Super7 is fully-loaded with upgrades to handle anything you can throw at it and is sure to be the king of the electric monster truck class.